There's more than one kind of workout-and at BodyTech, you'll find more than one kind of fuel. Each of our products is scientifically designed to nourish your body with the right protein at the right time. 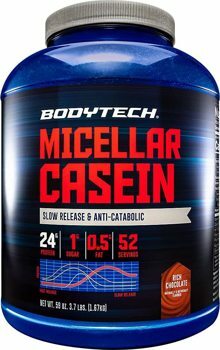 Great tasting BodyTech Micellar Casein can be taken at any time of the day. Ideal times are immediately upon rising in the morning, after working out or before you go to bed to help protect muscles against catabolic breakdown during the recovery period. Casein proteins are digested more slowly than other proteins. 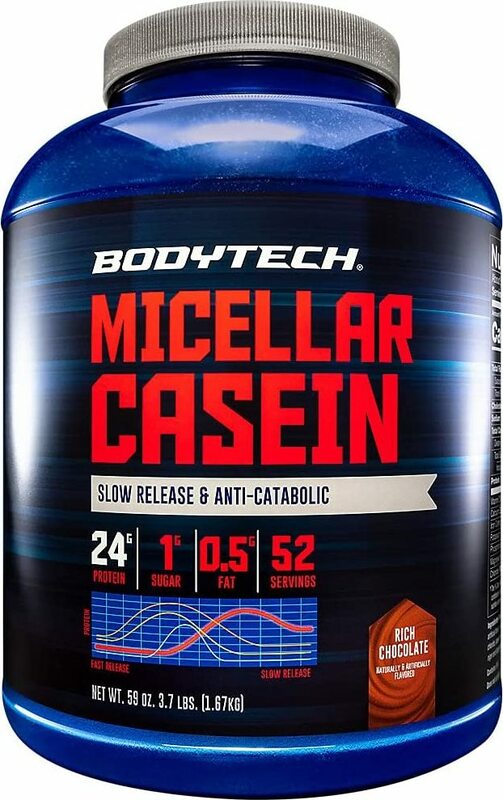 Casein provides an extended release of muscle-building amino acids, helping to reduce post-workout muscle breakdown and protect hard- earned gains in strength and lean muscle mass. Power up a smoothie with fruits, vegetables and other power foods. Ideal for post-workout muscle-building. Get creative! Micellar Casein makes for a high-impact addition to oatmeal, pancakes and many other baked goods.